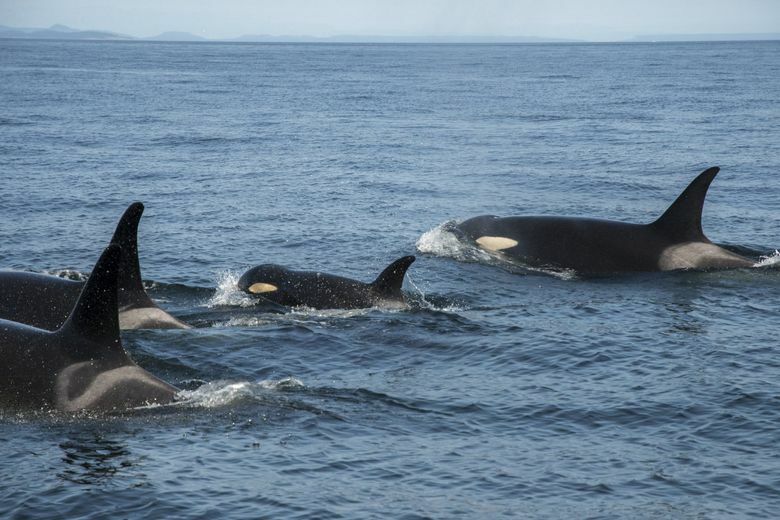 Researchers will next determine whether to proceed with feeding, depending on conditions and location of the whales. 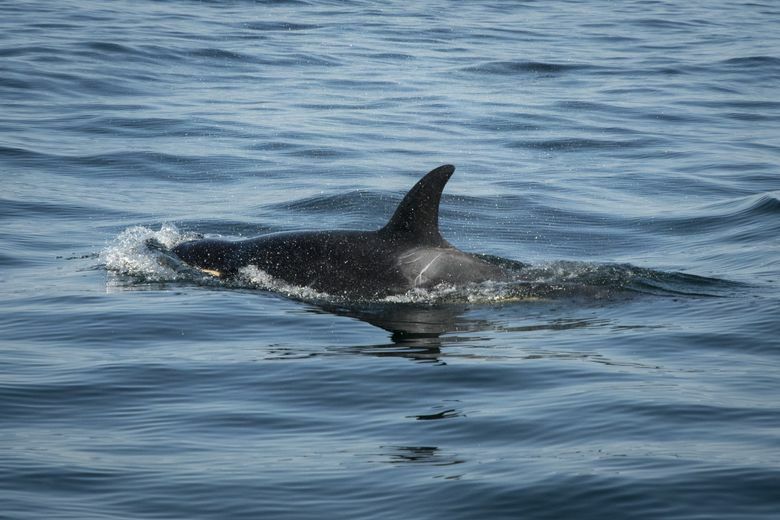 An emergency effort to feed and treat an ailing young member of the endangered southern resident killer whales made headway on Thursday, according to rescuers. 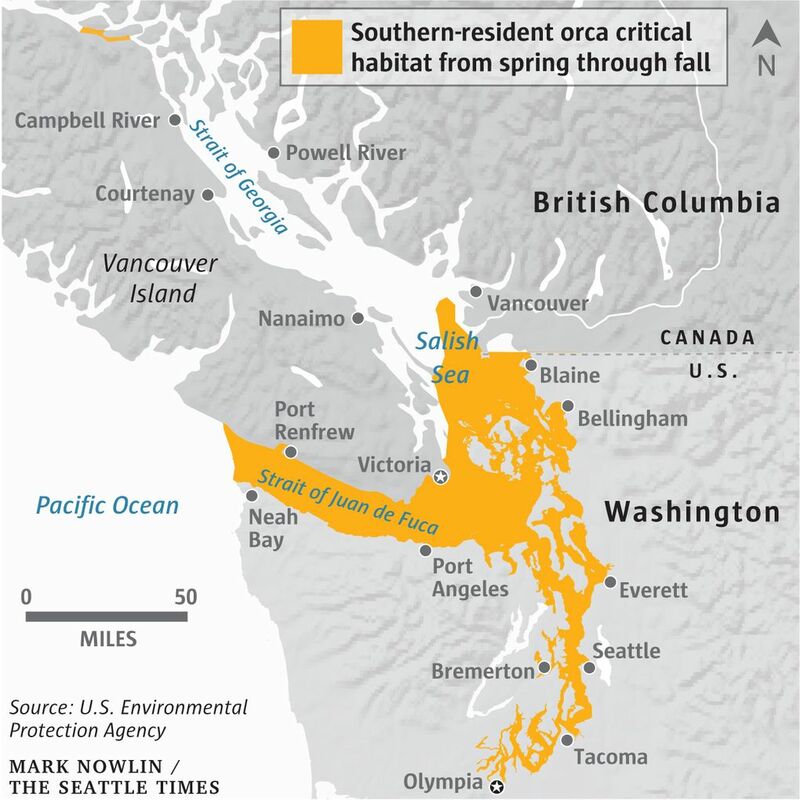 The effort to save a 4-year-old orca named J50, or Scarlet, comes as another member of her family has drawn national attention for carrying her dead calf for more than two weeks, behavior interpreted by researchers to represent intense grief. 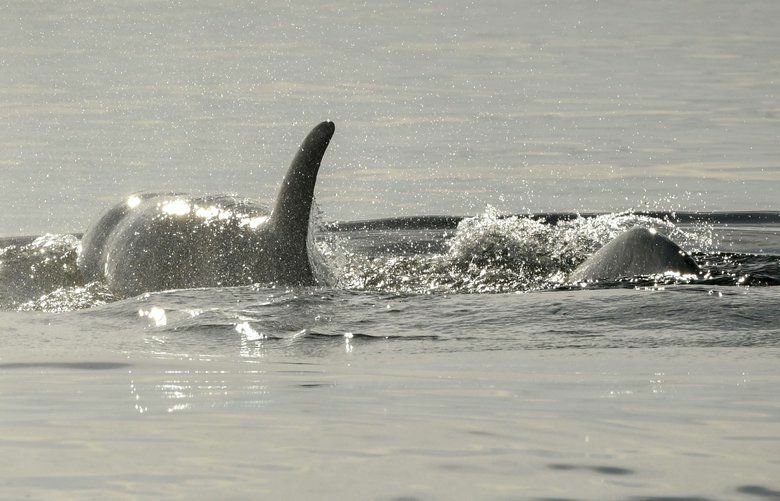 Scarlet’s family, also known as J Pod, is one of three that make up the southern resident orcas. 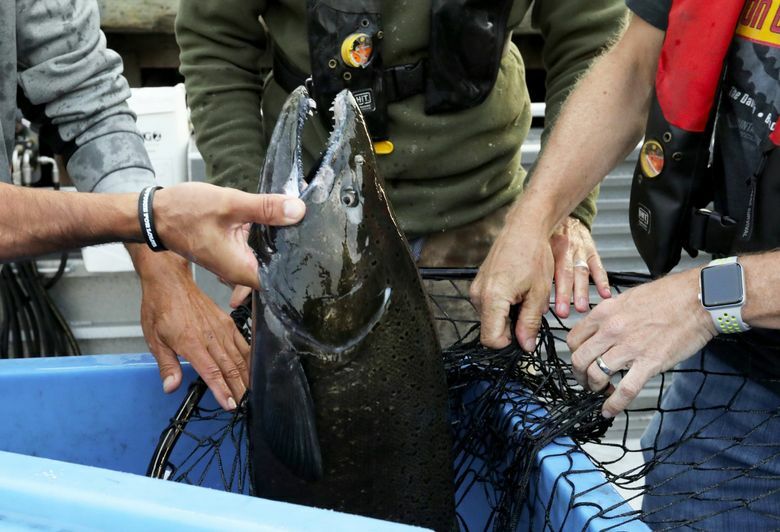 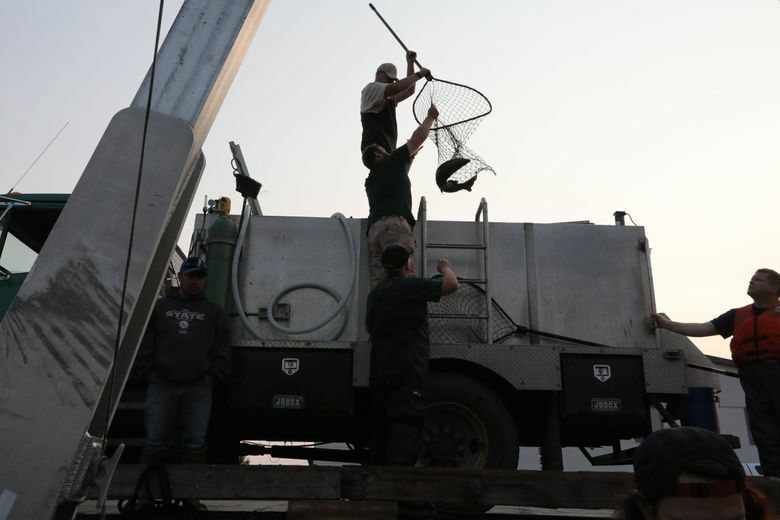 Their numbers have declined to a total of 75 animals along with a decline in the chinook salmon their diets rely on. 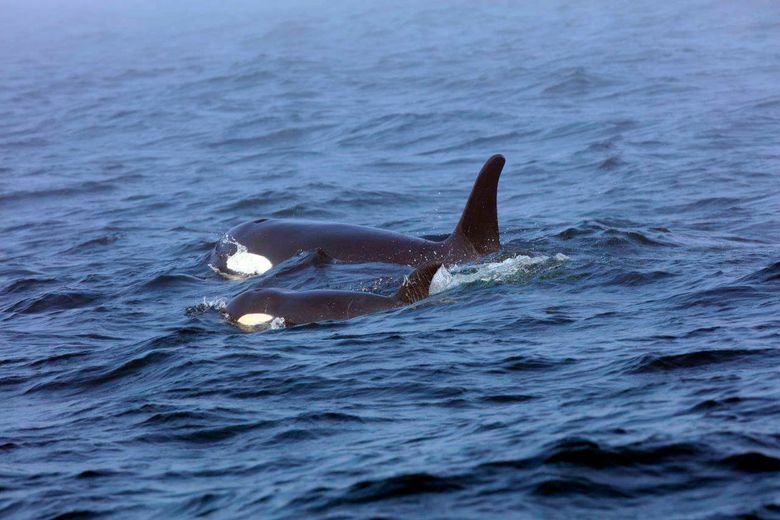 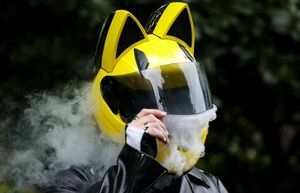 Milstein said that veterinarian Marty Haulena from the Vancouver Aquarium got a thorough look at J50 and the team obtained a breath sample that will help assess any infection. 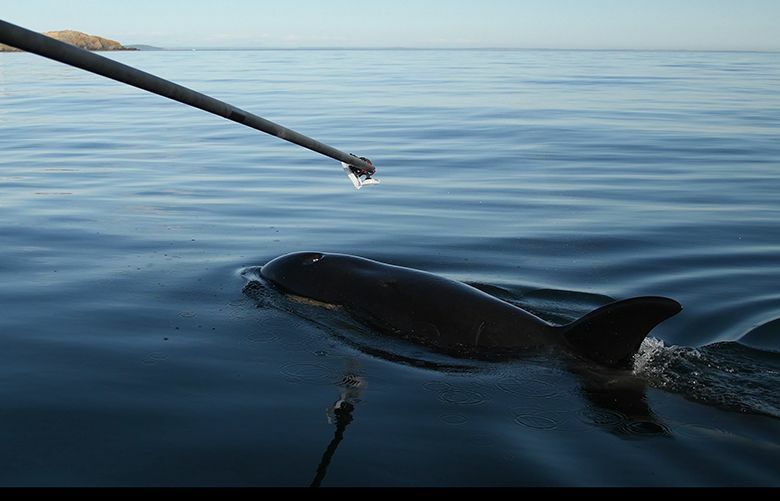 A dose of antibiotics was also administered through a dart, he said. 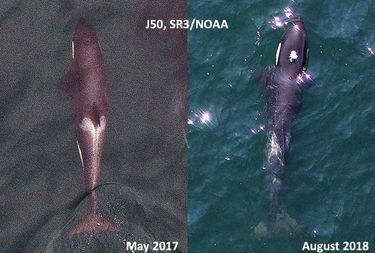 Scientists have been concerned about J50, saying she has a white patch by her blow hole, her cranium is showing, and her flukes are discolored, all signs of malnutrition. 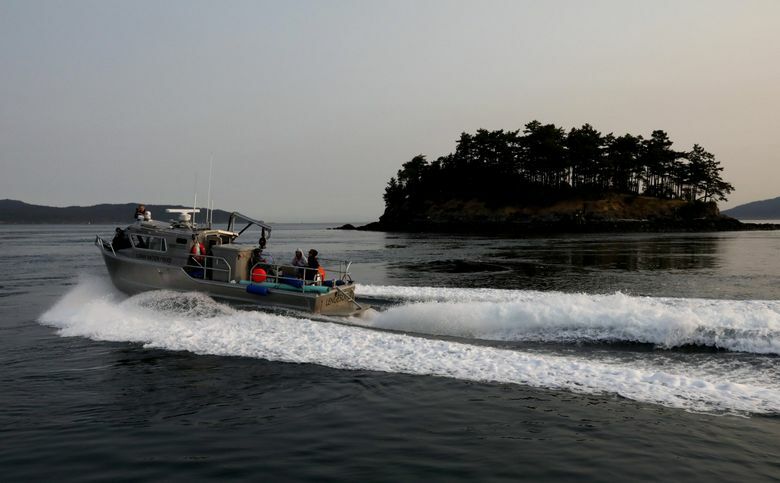 Seattle Times reporter Lynda Mapes and photographer Alan Berner will be reporting live Friday from a response-team vessel as it follows the orcas.